There are many places in Norfolk that you can visit for a great day out. Home to a wide range of animals from tropical South America, including jaguars, pumas, tapirs, monkeys and flamingos, anacondas, piranha and giant Amazon fish. Plenty for all the family to do, play areas, visit the shop and veranda cafe or picnic at will. The only museum dedicated to the Broads, their formation, history, people, wildlife, crafts and industries.Tea room, pic-nic area, children’s playboat, quizzes and painting. Also trips on the Victorian steam launch ‘Falcon’ on selected days. Pettitts is three parks in one. Superb fun rides, animals and live shows. Large picnic areas and eateries. Plus gift and candy shop! Pleasurewood Hills Theme Park is a great day out for the whole family! Set in 50 acres of coastal parkland in Lowestoft, only 10 minutes south of Great Yarmouth. You’ll come for the rides and you’ll stay for the shows. History of Radar and Air Defence 1935 to date. Housed in original 1942 Radar building. Features Battle of Britain, 1942 Operations, Cold War Operations Room in use until 1993 and Space Defence. RAF Coltishall Memorial Rooms. 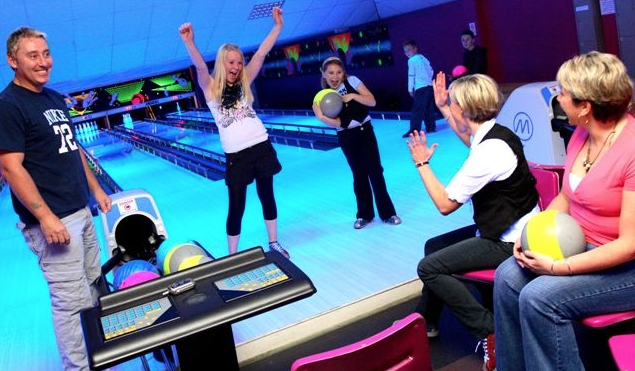 Including Richardson’s Family Bowl with glow bowling and amusements, the Galley Diner and Restaurant and the Cityscape Bar with Sky TV. For children an indoor play area offering soft play for only £2 per hour. This really is THE Family Entertainment Centre! Dive into the underwater world of SEA LIFE Great Yarmouth and be wowed by many strange, beautiful and fascinating creatures of the deep. Prepare for astonishing views of everything from humble starfish to tropical sharks and penguins. A taste of old England at its finest – Explore 12 acres of mature landscaped gardens, get lost for a while in the 1846 yew maze, let the tour guides unlock the history and treasures of the Hall then relax and enjoy the homemade delights of the Winter Garden Tearoom. Renowned collection of Asian mammals, birds and repitles in the pleasantly landscaped grounds and gardens of Thrigby Hall. Attractions for all age groups include snow leopards, rare tigers, gibbons, deer, otters, crocodiles in a swamp house, aviaries, waterfowl, gift shop, cafe and willow pattern garden. Tropical and forest houses give good all-weather cover. Redwings Horse Sanctuary was established in 1984 and today has grown to be the largest horse charity in the UK. The visitor centre in Caldecott is home to rescued horses, ponies, donkeys and mules. The centre also has a café and gift shop. Fritton Lake has everything for a great day outside by the water. Fritton Lake has picnic areas, croquet, farmyard, playground, football, horse riding, fishing, swimming and a nine hole golf course. It is within the grounds of Somerleyton Hall which is open to the public along with its gardens. The stately home is a fantastic example of an archetypal Tudor-Jacobean mansion. Based on the sea front at Great Yarmouth the Pleasure Beach is a popular tourist attraction with large rides, children’s rides and crazy golf. Being on the main seafront means you can also enjoy the buzzing atmosphere and bright lights that British seaside resorts are famed for. This is a steam railway line that runs between Alysham and Wroxham. It is an 18 mile trip that lets you see the wonderful countryside whilst experiencing a great train ride. 100 acres of woods and parkland to discover the world of dinosaurs. Indoor and outdoor play areas and much more. Wroxham Barns has something for everyone. The junior farm gives children real life experience of a working farm with the ability to pet and feed animals. There is also a children’s funfair with numerous rides. Wroxham Barns also has gift shops and craft studios where you can experience crafts people at work. A great restaurant is also on site meaning Wroxham Barns can provide a full day out for all. Africa Alive gives people the opportunity to get close to wildlife native to Africa. These include giraffes, rhinos, zebra, lions, cheetahs and many more. There are also many birds and reptiles on display as well as a farmyard area. You can experience feeding times and take a tour of the “plains of Africa”. Other facilities at the park are a restaurant and indoor and outdoor play areas. Norwich has pretty much all you could want from a city: culture, history, fantastic shops, great restaurants and a vibrant night life. There are over 1,500 historic buildings including a Norman cathedral and castle. The smaller streets have more specialised shops while the city centre has 2 shopping malls. There is also a market 6 days a week. This is one of Britain’s most popular coastal resorts famous for its bright lights and buzzing atmosphere. There are over 15 miles of sandy beaches and typical seaside amusements, shops and food outlets. Its pier provides some great entertainment. The Pleasure Beach has over 20 large rides as well as crazy golf and water rides. Great Yarmouth is also home to greyhound, horse and stock car racing. Please check individual attraction websites for up to date facilities, opening times and prices.